Our summer camps are packed full of fun activities that teach new art-making mediums to young artists. 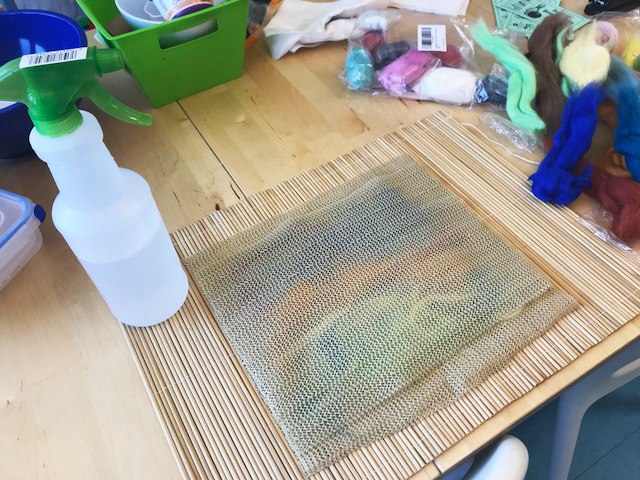 At our most recent Art Party session, our Corinna Archer Kinsman, our Associate Director of Development, stepped into the role of Teaching Artist to introduce campers to a variety of textile techniques, including weaving and felting. 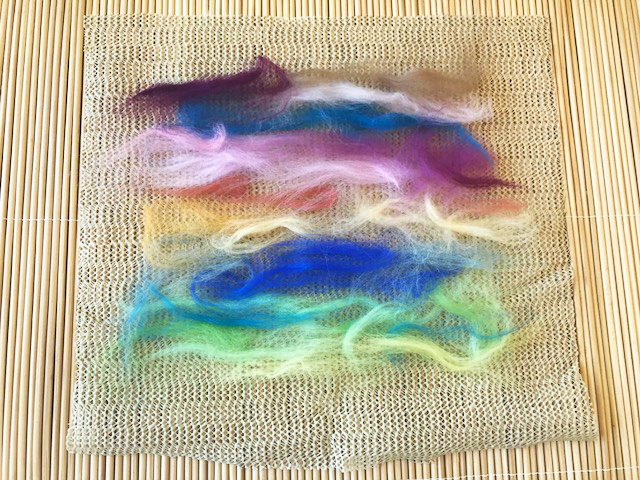 Below, she’s provided step-by-step instructions on tackling felting on your own time, for campers who might have missed this session or who want to try their hand at textiles at home. 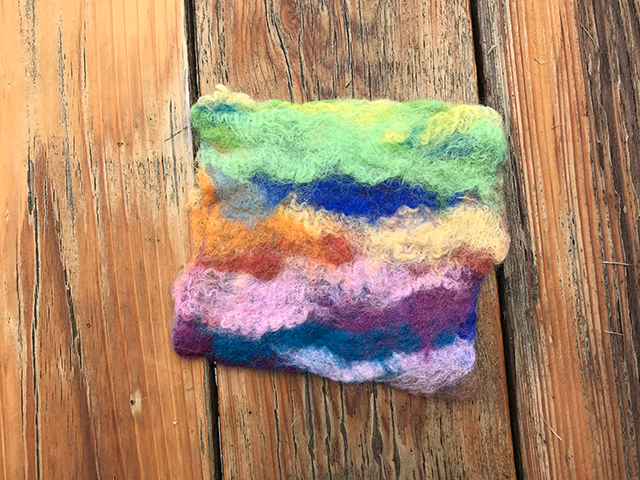 To go more in-depth with the felting technique, try using it to create pictures, pulling different colored pieces of roving into shapes until you’ve created a scene. Or experiment with creating bigger pieces of felt! STEP ONE: On a piece of paper or mesh materials, begin making one thin layer by pulling small pieces of roving and overlapping them in the same direction until you’ve made a small rectangle. STEP TWO: Make another layer, this time overlapping in the opposite direction. Continue until you’ve made 3 thin layers on top of each other. STEP THREE: For your 4th and final layer, you can make whatever image or design on top you want! This is what you’ll see on your felted piece. STEP FOUR: Using a spray bottle, wet your design with warm, soapy water. STEP FIVE: Place another piece of tulle/mesh on top of the felt. Using a damp sponge, rub on top in gentle circles to begin agitating the wool. STEP SIX: Removing the top layer of mesh, place the wool onto the sushi mat and roll it all up. Begin rolling back and forth to agitate the felt for about a minute. Unroll, and turn your felt once 90 degrees. Roll up and agitate again. Repeat until you’ve turned all four sides at least once, and your felt has shrunk up! After a few turns, you can remove the mesh piece if your felt is sticking together nicely. FINAL STEP: Rinse and lay out to dry!